On the day that the citizens of Modesto voted down Measure X, voters in Stockton passed the sales tax increase on their ballot. In fact, of ten cities that had sales tax increases on their ballots, Modesto was the only one whose measure failed to pass. KCRA-TV Channel 3 News reported this week that because of passage of the sales tax increase, Stockton will be able to hire 118 new police officers. Stockton voters favored the sales tax increase despite the fact their city is bankrupt. Ironically, the citizens of Modesto voted down Measure X because they said that government cannot be trusted to spend wisely. Stockton’s bankruptcy demonstrated a less wise pattern of expenditures by the Stockton Council than that of Modesto. The Modesto Bee led the campaign against Measure X. In an editorial, the newspaper listed dubious Modesto council spending decisions and stated that current and future councilmembers could not be trusted. Perversely, the editorial cast a negative light on its own recommendations for the Council as it had previously endorsed nearly all of the “untrustworthy” incumbent councilmembers while disparaging future councilmembers who would be elected on the same day as the Measure X vote. Because of the failure of Measure X, a number of unanticipated events have taken place or will take place. Incumbent Councilwoman Stephanie Burnside, strongly endorsed by the Modesto Bee, was voted out of office by the anti-government hysteria generated by anti-Measure X editorials and articles. The City of Modesto has lost key staff members and probably will lose more of them. Director of Parks and Recreation Julie Hannon recently resigned and found a job elsewhere. As the budget is cut further, other quality employees will choose to work elsewhere or retire. Crime will increase. Criminals go where the cops aren’t present. When Stockton hires 118 new police officers, will criminals come to Modesto? Count on it. Citizens will rely more on ill trained and underpaid private security and receive less service from a highly professional police force. The Modesto City Council will be forced to cut services. The budget cuts will cause a further decline in the quality of life in the community. After the election, City Manager Greg Nyhoff’s office was contacted by community activist Bruce Jones to find out what progress had been made on the strategic plan for the development of Modesto’s economy. A representative from Mr. Nyhoff’s office stated that the plan had been put on hold pending the results of Measure X. With the measure’s defeat, options for economic development will be considerably less robust. The Modesto Bee editorial board expressed its preference that a half cent sales tax be put on the ballot to fund new roads. This writer has repeatedly argued that new roads should be paid for with developer fees. Let developers pay for their own projects. The sales tax for roads has been defeated on two previous occasions. Perhaps Modesto voters prefer to give subsidies to developers rather than hire more police? A county wide road tax will probably be on the ballot for the next election. Eric, if Modesto is in fiscal crisis, it is because the “leaders” of Modesto chose to put us in crisis. We have few, if any, “quality employees”, and the proof is in the crisis. If our “leaders” wanted more police, we would have more police. If they wanted better roads, we would have better roads, and so on. Everything comes from leadership, and Modesto’s leadership has been a gross failure. As far as trusting our elected officials, we have ample evidence that they are in fact, not trustworthy. One councilman is brought with conflicts, another ran for the $24,000 annual salary, two more have voted 180 degrees from what they promised constituents, and the Mayor holds Modestans in contempt. 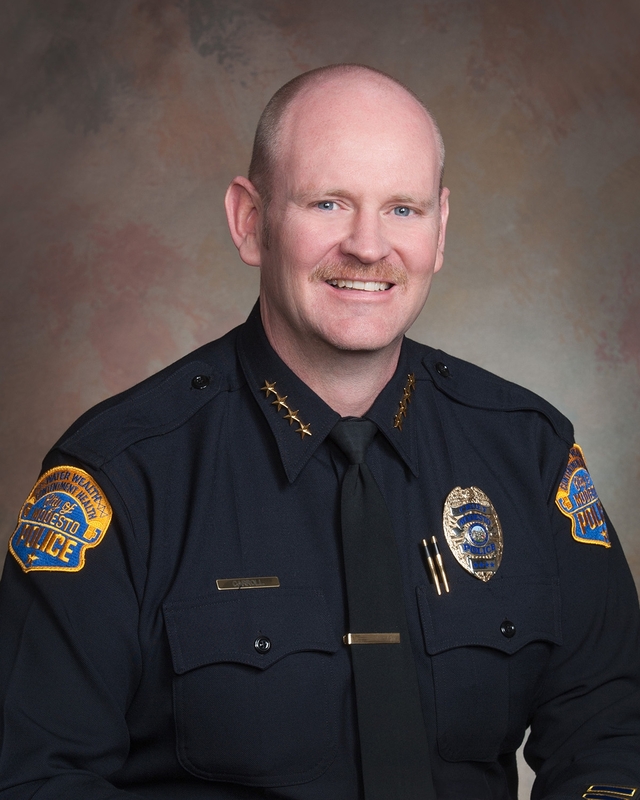 Mr. Dave Thomas, I would like to see some facts, statistics, or credible information to back up your allegations regarding Modesto leadership being the issue in our city’s reduction of police, park staff, and public services. Spouting rhetoric and assigning widespread blame does little to provide solutions to the problems our city faces, and problems which are in a large part due to the economic downturn, lost jobs, and decreased revenues. I don’t think it can be chalked up to just “anti-government hysteria generated by anti-Measure X editorials and articles” as the reason for Burnside’s defeat. Credit needs to be given where credit is due and its due to Jenny Kenoyer who walked her district – not once, but twice! Jake Wenger also walked his MID Division 4 district and he won by a landslide. Kenoyer and Wenger took heed to pay attention to the demographic that matters the most in an election – the voters. Katherine, there is no doubt that Jenny Kennoyer ran a good campaign and showed well. However, political pundits generally agree that incumbents typically run with a 20 percentage point advantage. This means that an incumbent will usually lose only if there is a malfeasance in office or moral turpitude. The Bee’s slamming of the Council undoubtedly affected the outcome of the election since Ms. Kenoyer’s margin of victory was relatively small. To Dave, Modesto is not the only community with substantial leadership deficiencies. For gosh sakes, Stockton’s leadership was so incompetent that they went into bankruptcy. Yet, the citizens of Stockton and 9 other cities passed their sales tax increase and we didn’t. While I would agree that the city council should have done a number of decisions differently, there still would have been deep budget cuts due to declining revenue no matter how competent they should have been. Let those who criticize run for office and show us whether they can do any better. Lets examine your comments about incumbents getting reelected Bruce. What malfeasance or moral turpitude did Denny Jackman contribute to, or participate in, when he was beaten by political newcomer Kristin Olsen, other than the hubris of not campaigning effectively or at all. And if we want to discuss the budget shortfall maybe we should remind ourselves who the Council members were when the ‘enhanced’ retire benefits were voted on and passed. After all we pay more for retired firefighters than those on active duty and after just 28 years at the age of fifty Hardin retired at over $153,000 annually. The only sure way to get the best government is to have a vocal electorate, so lets not fall for Judy Sly’s argument regarding having to run for office in order to be able to have an opposing and possibly correct opinion. One of out biggest problems is not enough of the public’s input is being paid attention to. Many council members seem to believe because they were elected they know what is best for us. And when they leave the council they’re sure of it. Emerson: Perhaps you’ve forgotten Denny Jackman’s credit card problem. He used a his City card for a pleasure trip. Even though he immediately paid the City back, the Bee made the story into a front page scandal. I remember it well because John Flint and I bet on the outcome of Denny’s next campaign. I argued most voters would remember the “malfeasance” and nothing else, even though nothing Jackman did not hurt anyone. And that was a major factor. Also, Kristin Olsen has been a Bee darling from the day she entered politics. You very well could be right Eric but when Jim DeMartini ran after experiencing some personal discomfort and attacks from his opponent after a young lady was pirating his credit he was able to overcome it by knocking on doors. While Larry Byrd had only the Bee attacking him, by knocking on doors he was able to overcome John Duarte’s connections (although in this case we had two great candidates). In several conversations Denny has always attributed his loss to a failure to campaign in the manor he did the first time. That Denny continues to be greeted by the public almost reverently was noticeable during his push for RUL. DeMartini’s problem involved a putative personal peccadillo. People are more forgiving of such things (witness Bill Clinton’s ongoing popularity) than misuse of government, however trifling. Denny was demonized and a BEEperfect candidate offered up against him.